As students the world over can attest, there are lots of strategies for trying to remember new information — you might reread key paragraphs in a textbook or use flashcards to test your memory for vocabulary — but not all of these strategies actually work. Research has shown that testing yourself on material is one of the most effective techniques for committing something to memory. 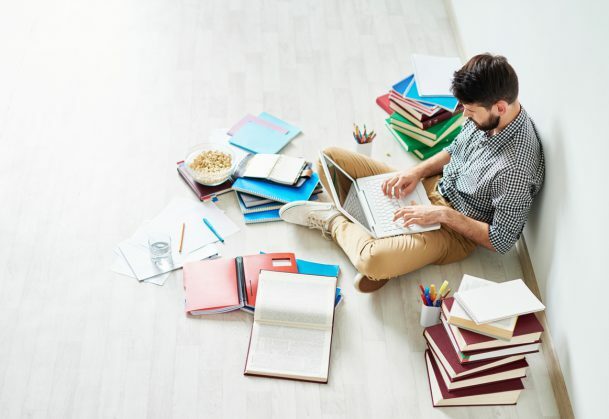 But new research from Psychological Science suggests that restudying might also be a useful strategy, especially if that restudying is spaced out in time. The research, conducted by Nicholas Soderstrom, Tyson Kerr, and APS Past President Robert Bjork (University of California, Los Angeles), builds on a study conducted in 2008 by APS Fellow Jeffrey Karpicke and APS Past President Henry L. “Roddy” Roediger, III, that examined the effects of two manipulations known to improve memory: (1) testing and (2) spacing the practice of to-be-learned materials. In their study, Roediger and Karpicke investigated the effects of being tested on and restudying Swahili-English word pairs (e.g., elimu-science), similar to how students might study vocabulary using flashcards. To learn the vocabulary pairs, subjects were assigned to one of four between-subjects conditions, each of which featured four cycles of studying and testing. Some subjects studied each pair and were then tested on each pair — for example, they were given elimu and asked to remember science. If they correctly remembered a word, it “dropped out” of the remaining cycles and was not studied or tested again, just like taking the flashcard out of the stack. If the word was not remembered correctly, it appeared on the next of the four cycles. Subjects in a second group studied and were tested on each pair; if they remembered the correct vocabulary term on the test, it wasn’t studied again but it was still tested in the remaining cycles. A third group of subjects experienced the reverse condition — if they recalled a vocabulary term correctly, the item was only studied in the remaining cycles but was not tested again. A final group of subjects studied and were tested on every pair in each cycle. The subjects returned to the lab a week after the initial study-test cycles and were asked to remember all the vocabulary pairs. Roediger and Karpicke found that repeated testing was the key to success. Namely, subjects who were tested on all items in every cycle remembered more vocabulary terms than subjects in the other groups, who stopped testing an item once it was recalled successfully. Based on these findings, the researchers concluded that restudying has very little effect on long-term retention. “The experiment… shows a striking absence of any benefit of repeated studying once an item could be recalled from memory,” Roediger and Karpicke wrote. In their new paper, Soderstrom and colleagues aimed to replicate Karpicke and Roediger’s findings and investigate an alternative account of those data. According to Soderstrom et al., the conditions in which subjects performed well in the Roediger and Karpicke study had another feature working in their favor — there was more spacing between practice trials in conditions with more testing, and spacing is also known to improve memory. Specifically, there was more space between presentations of the same item in these retesting conditions than there was in the other two conditions. Soderstrom and colleagues decided to conduct a second experiment in which they controlled for spacing. To do this, the study condition was manipulated within subjects rather than between them. The results showed that recall was high in both of the retesting conditions, as was shown earlier — but, in contrast with Roediger and Karpicke’s findings, recall was also high in the condition in which items were restudied every cycle but not retested. By controlling for spacing, Soderstrom and colleagues conclude, the new study reveals that restudying may have more of an effect on learning than originally believed. The research team also examined subjects’ predictions of future performance and found that predictions were more consistent with subsequent performance when the conditions were varied within subjects than between them. The authors argue that restudying is “far from useless” and that there is value to investigating intriguing cognitive phenomena using both between-subjects and within-subjects experimental designs. “When we manipulated the learning conditions within subjects — and thus controlled for the amount of testing (and, therefore, spacing) that preceded study sessions — we found that both repeated testing and repeated studying improved learning,” the authors concluded.